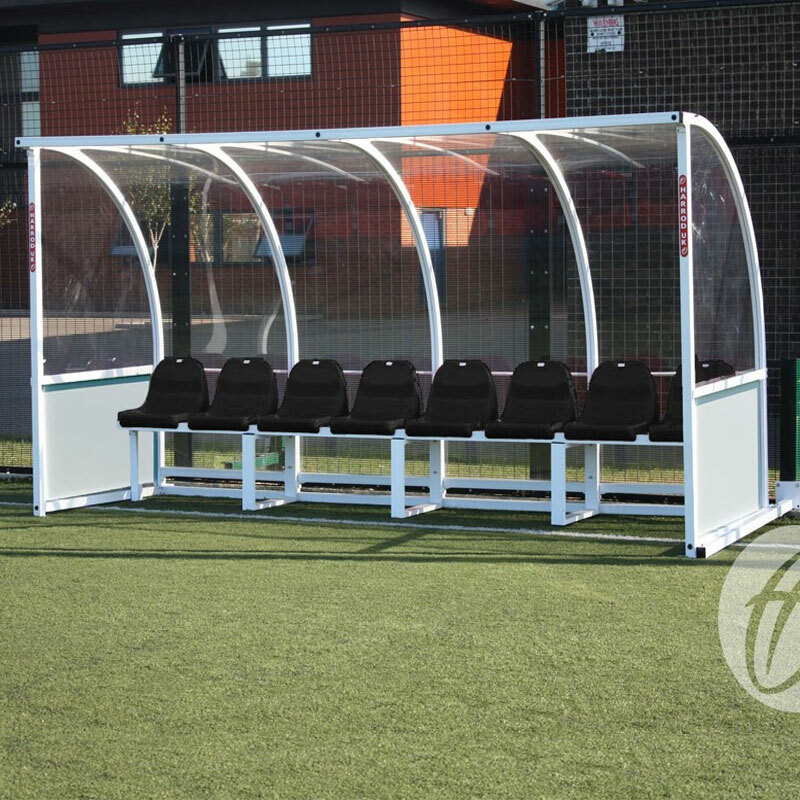 The Harrod Sport ® Premier Curved Socketed Team Shelter is available in 8, 10 or 12 person versions. All the shelters are 2.05m high allowing full standing access, with a total external depth of 1.57m and an internal depth of 1.3m. 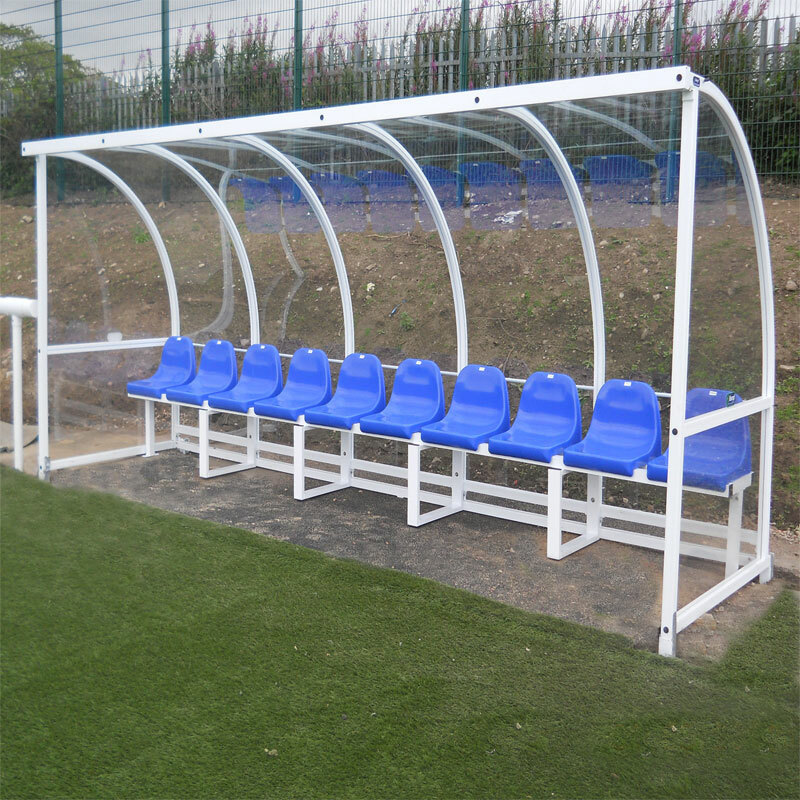 4m shelter to seat 8 persons - 192kg per shelter. 5m shelter to seat 10 persons - 223kg per shelter. 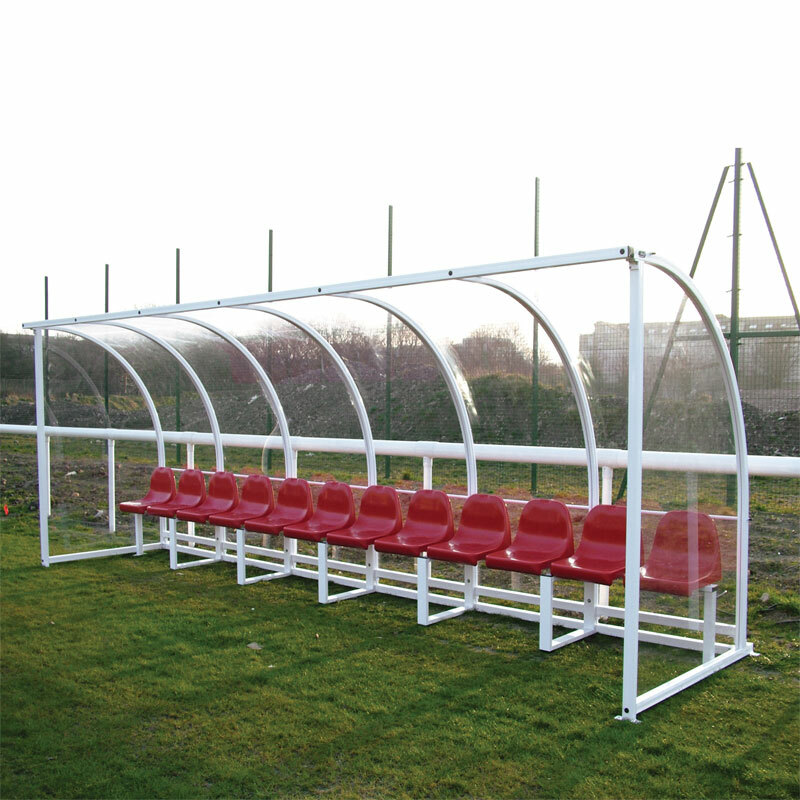 6m shelter to seat 12 persons - 257kg per shelter.